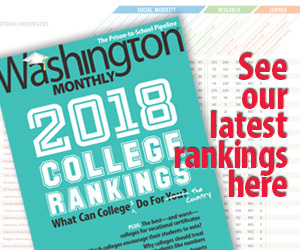 Washington Monthly | You Hate Us, You Really Hate Us! You Hate Us, You Really Hate Us! Let me put this bluntly, in language even a busy blogger can understand: Criticism — and its humble cousin, reviewing — is not a democratic activity….French critic Charles-Augustin Sainte-Beuve, a name not much bruited in the blogosphere, I’ll warrant….We have to find in the work of reviewers something more than idle opinion-mongering….They need to prove, not merely assert, their right to an opinion. ….At the recent Los Angeles Times Festival of Books  blogging was presented as an attractive alternative — it doesn’t take much time, and it is a method of publicly expressing oneself (like finger-painting, I thought to myself, but never mind). This kind of stuff doesn’t really bother me. I mean, bloggers can dish it out, so I suppose we should be able to take it too. What strikes me, though, is that Schickel’s jeremiad isn’t unusual: all too often, people who complain about the vitriol and ignorance of the blogosphere find themselves so tongue-tied by the whole phenomenon that their criticism plunges with barely a backward glance into paroxysms of….vitriol and ignorance. There’s something about the whole subject that almost inevitably sends them into conniptions. So I wonder what Schickel’s problem really is. Has he never before heard anyone complain about art critics being too elite for the average joe? I doubt it. That’s an ancient sport. Does he truly believe that bloggers think their work belongs in the same pantheon as Edmund Wilson and George Orwell? That’s hard to credit. Has he never noticed that average joes have been producing home-brew criticism for centuries? Surely not. So what is it? Merely the fact that this is happening on a different and modestly larger stage than before? Is that really so threatening? POSTSCRIPT: What’s really odd about Schickel’s piece is that it was apparently inspired by an article about literary bloggers and the decline of newspaper reviewers that ran in the New York Times a couple of weeks ago. But it’s the farthest thing imaginable from blogger triumphalism. Italics mine, of course. You tell me: which side comes out looking better in this particular exchange?